These days, people use various types of tiles to decorate their homes. They use special marble tiles to adorn their floors and kitchen slabs but marbles tiles are highly expensive and can burn a hole in your pockets. Therefore, people buy granite tiles to construct their floors and kitchen slabs. It has the same physical features as the marble tiles but differs in the size of tile pieces. Granite tile is a famous building material that is utilized to design the interiors of a house. These tiles are highly durable and are also resistant to high strains. Hence, it is the most suitable construction material for your kitchen slabs. Slowly and steadily, they have evolved in the creation of popular tiles. On the contrary, you need to keep a special care of these tiles so that they do not suffer from any wear and tear problems. Therefore, you need to keep a few things in mind, while purchasing granite tiles for yourself. Firstly, consider the environment and location of the area where you are going to place your tiles. For instance, if you have kids or elderly people in your home, then you must buy the lightweight honeycomb panels that are less slippery in order to avoid any severe injuries. You must also consider the factors like foot traffic and humidity while going to buy granite tiles for your floorings. You should make sure that the tiles are resistant to stain and get cleaned easily without creating any scratches or wear and tear. Therefore, you should get them resealed after regular intervals of time. 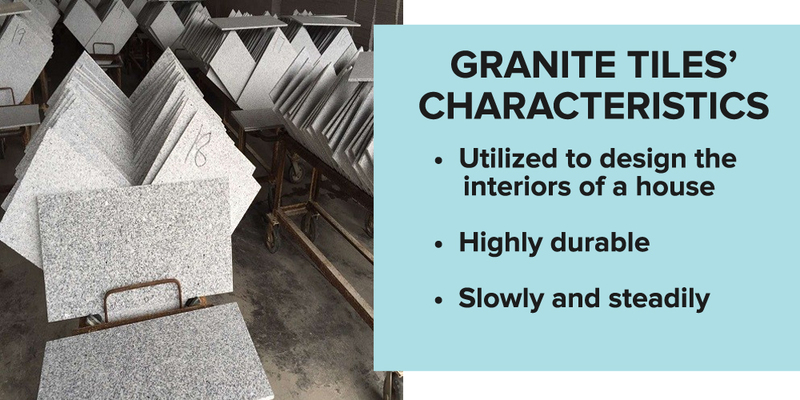 Although granite tiles are prepared using highly durable building material that can withstand heavy foot traffic but the tiles can get damaged if they are not installed properly. Therefore, you must appoint a skilled worker for fitting the tiles. Today, you can purchase granite honeycomb panels through various online portals. Some portals offer professional help for the fitting of the tiles. Therefore, you must purchase quality granite tiles in order to enhance the beauty of your homes.